100% cotton jersey. Heather tonal twist fabric with a unique speckled appearance. Details include a self fabric collar with a 3 button placket. Vented sides with a slight drop tail. Please select option for Canp David Polo. 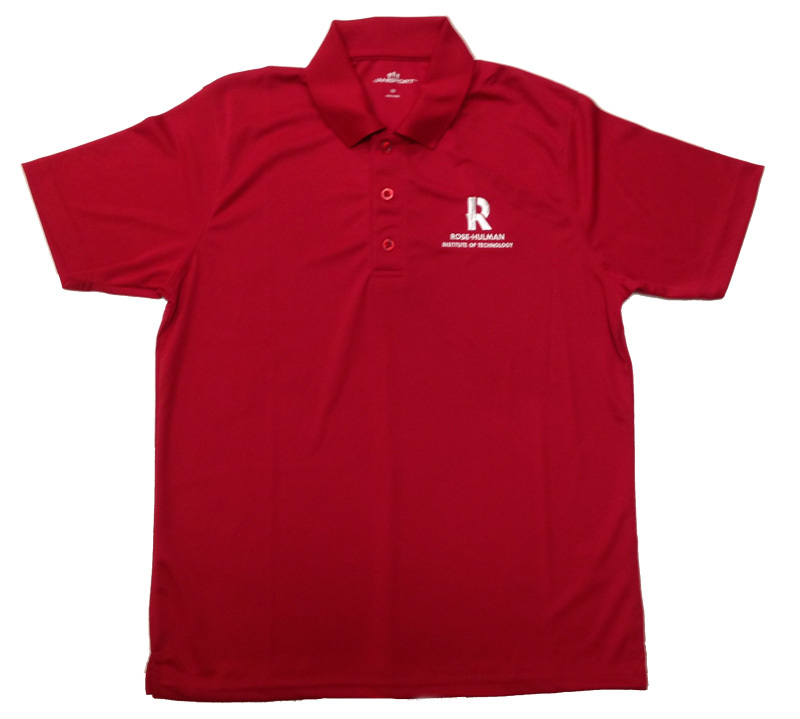 Cardinal polo, 100% polyester. 3-button placket. Open sleeves, side vents. 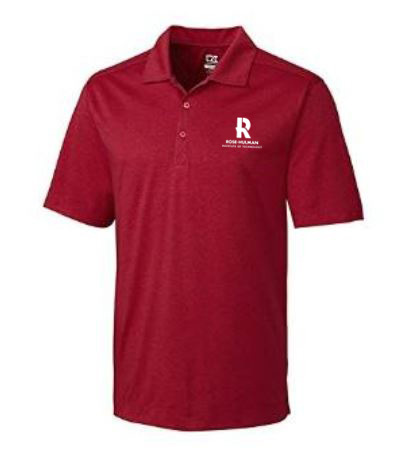 Embroidered "R" over "Rose-Hulman" over "Institute of Technology" over "Dad"
Please select option for Champion Dad Polo Shirt. Cardinal Polo is 100% polyester. 3 button placket. 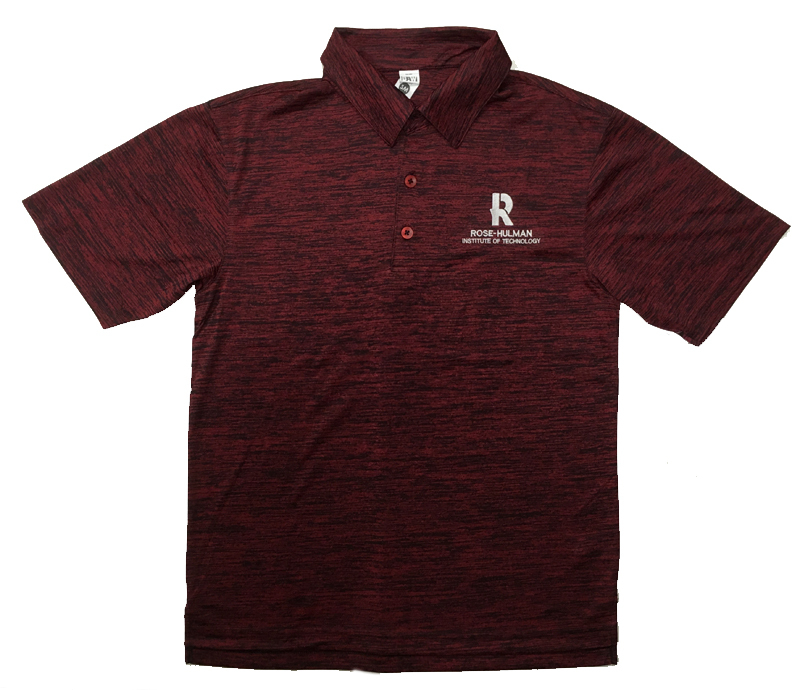 Embroidered logo "R" over "ROSE-HULMAN" over Institute of Technology". Please select option for Champion Polo. 100% Polyester body, sleeves, and collar: fabric is wicking and anti-microbial. Front body panel is a jacquard creating a tonal striped pattern. Front placket buttons are all hidden except for top button is exposed Raglan sleeves, modern blade collar. Feminine silhouette and cap sleeve. Please select option for Charles River Henley Polo Ladies Cut. CI Classic Polo in cardinal. 60% cotton / 40% polyester. Embroidered "R" over "Rose-Hulman" over "Institute of Technology" on left chest. Please select option for CI Classic Polo. CI Sport red and black heathered Dry-Tek polo shirt. 100% polyester. Lightweight and breathable. Embroidered white "R" over "Rose-Hulman" over "Institute of Technology". Please select option for CI Sport Polo Shirt. Petite Bag gift bag with metallic silver Rose-Hulman Seal. Braided handles. 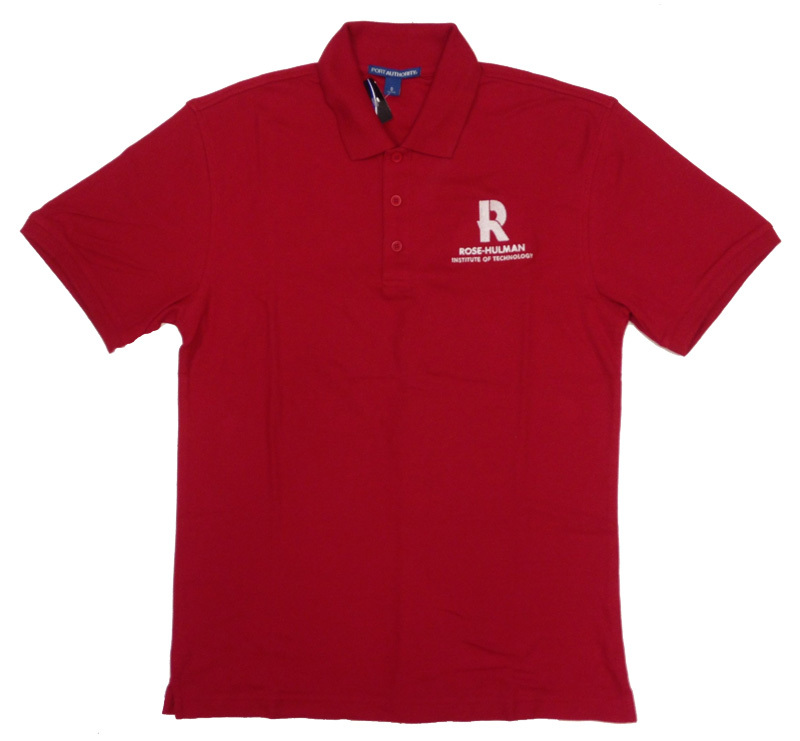 Includes red logo "R" printed tissue paper. Bag size is 6.5" x 6.5" x 3.5"
Under Armour Heat Gear cardinal polo shirt. Loose fit. 57% cotton / 38% polyester / 5% spandex. "Rose-Hulman" over "Institute of Technology" embroidered in white on left chest. Please select option for Under Armour Heat Gear Polo Shirt. 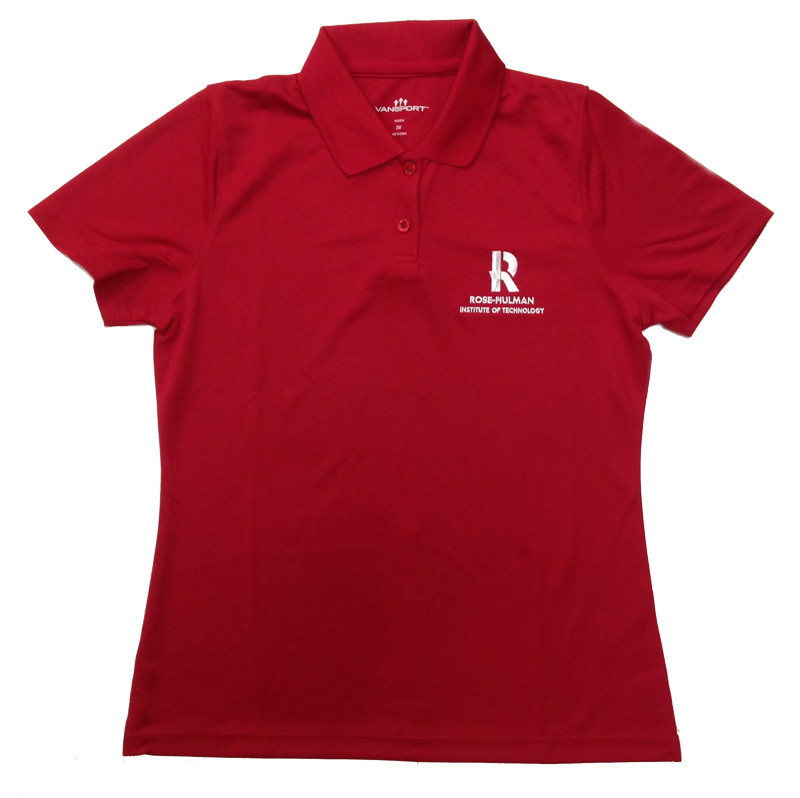 Vantage cardinal ladies polo in 100% polyester for breathability. Embroidered "R" over "Rose-Hulman" over "Institute of Technology" on left chest. 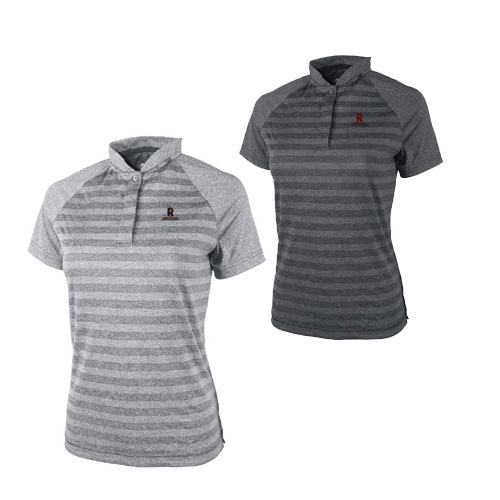 Please select option for Vantage Ladies Polo Shirt. 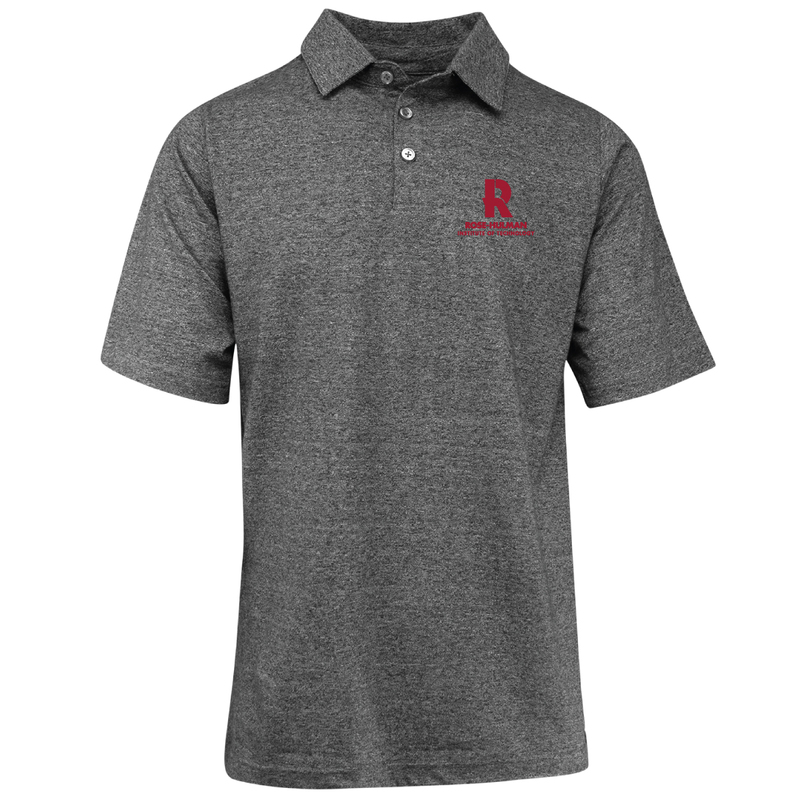 Vantage cardinal polo in 100% polyester for breathability. Embroidered "R" over "Rose-Hulman" over "Institute of Technology" on left chest. Please select option for Vantage Polo Shirt.